Chess is a board game played by two players. Each player controls an army of 16 pieces, one person plays the white army and another plays the black army. Starting with white, each player takes a turn moving one piece each time. Each piece moves in a unique manner, and understanding how the pieces move is a must when learning how to play chess. There are some unique, or advanced moves that if you are a beginning player, you should learn to up your game. The first step in starting a chess game is learning how to properly set up the board. The two armies oppose each other across the board with the smallest pieces — pawns — manning each army's second row or front line. The larger pieces are on the first row or at the back. The royal couple of king and queen sit in the center of the army (in the back) flanked by bishops, knights and rooks and are protected by a front line of pawns. The two most valuable pieces are the king and the queen. They are followed by the rook, bishop and knight. The pawns are the least valuable pieces but (as with all pieces) are important for protecting the king. The king can move in any direction, including diagonally but can only move one square at a time. The queen is the most powerful piece of chess and can move in any direction on any number of squares. The bishop can move in a straight line diagonally any number of spaces. The rook (or castle) can move in a straight line horizontally or vertically any number of spaces. The knight, which looks like a horse-head piece, moves in an L-shaped pattern. Pawns are the smallest, weakest pieces of chess. The pieces can only move one way — directly forward — one square at a time (unless if its the pawn's first move; then it can move one or two squares directly forward). The ultimate goal in chess is to trap the leader of the opposing army — the king. Trapping the king is called a checkmate and results in a win for the checkmating side. You can learn 10 basic checkmate patterns that are key to winning a chess game. Also, there are a few blunders that you can make in chess that will give your opponent an advantage in a few moves. Blunders (also known as fool's mate) can lead to the fastest checkmate in chess. Learn how to avoid those mistakes early on. 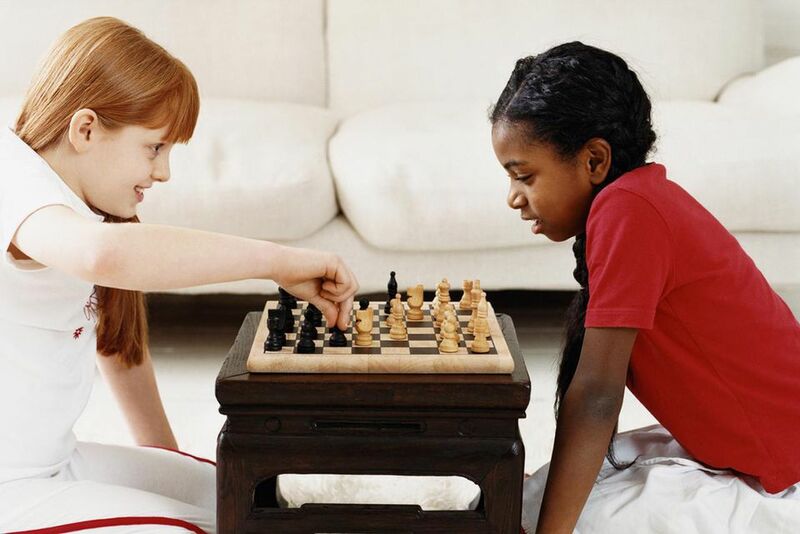 Learning how to play chess goes beyond understanding the rules. Strategy and tactics are both crucial to playing better chess. Long-term strategic plans revolve around ideas such as the material lead, development of your attack, king safety and space management. Planning out the movement of your bishops is often a key strategy to employ for achieving checkmate. Basic chess tactics are short-term, forced sequences that can quickly change the course of the game. Forks, pins and skewers are among the most common tactical motifs. Most chess games go through three phases: the opening, the middlegame and the endgame. Some of the basic principles of chess openings will help you develop your pieces and formulate a plan. The middlegame is where the largest battles are waged between the two armies. The final phase, the endgame, is a tense battle between the few remaining forces on the board.